Grimm doesn’t let you in on a whole lot of character background. 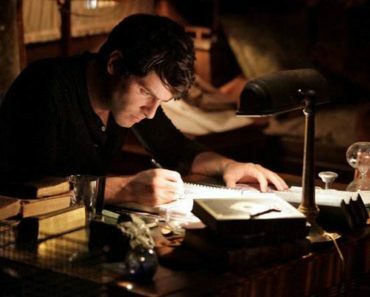 Sure, we know that Hank has had two past cases haunt him and that Monroe has become the epitome of a Renaissance Blutbad, but when it comes to main character Nick Burkhardt, information has been fairly scarce. It’s understandable that Grimm may not want to tip its entire hand this early in its run, particularly due to its procedural format, but to be able to fully get behind genial nice guy Nick, there had to be more understanding about who he is and where he came from. His current duality, half man/half Grimm, may be enough to inspire a certain level of sympathy, but for Grimm to take the next step in its development, progress was necessary and the veil had to be lifted. Luckily, “Three Coins in a Fuchsbau” did just that, as we got a tiny look at the pre-Grimm Nick Burkhardt thanks to Farley Kolt (guest star Titus Welliver). Kolt used to be engaged to Aunt Marie before she had to give everything up to raise Nick following the death of his parents in 1994. Their death was hinted at as being less of an accident and more of a conspiracy to get the valuable coins they had been protecting, coins that played a pivotal role in the episode and that Kolt eventually came after. It may not have been a tremendous amount of information, but it’s more than we had and it’s a step in the right direction, both in terms of story and characterization. As mentioned above, Nick’s kind of been a blank slate as a character, a good guy but a guy that keeps things inside and doesn’t like to be/can’t be vulnerable due to his new identity. Learning about his past can only help you understand more about his present, which, in turn, gives him more layers and makes him a better lead character. The more we learn about him, the more can be seen from his actions and the clearer his motivations become; procedurals live and die on how good their characters are and those moments where you see who the person is outside of their profession. By giving Nick a little more depth, Grimm is testing the waters for gradual serial elements and making sure that the more straightforward episodes have a little more shading to them. But as glad as I was to get more information about Nick, Welliver’s role was a little disappointing. He may have been the catalyst for the latest serial moment on Grimm, but Welliver didn’t exactly do much aside from spout exposition during his brief time on screen. Granted, Grimm didn’t kill him off, so there’s a chance for a more substantive role later, but anyone familiar with Welliver’s past work knows how good he can be and the show didn’t give him a part up to his talents. In a way, I would have rather had Farley been played by another actor and Welliver move over to play a villain in a future episode; that may be another one-off, but he’d at least get to be more involved in an episode instead of dumping information on us and leaving. Farley was less a character and more a means to an end, having only a brief scene with Marquesa before spending the rest of his time talking to Nick in the interrogation room, holding cell, and hotel room. It felt less like a fairly integral role in the episode and more like “hey, people want to have more mythology, so let’s just get it all out through one character”. The case involving the mythical coins that make the meekest of men oratorical giants was a good bit of fun, though. Early Grimm episodes felt like really good 80s B-movie horror, just the right amount of cheese to balance any darker elements that may arise. The show has, for the most part, backed away from that aesthetic, so I appreciated a little return to form. 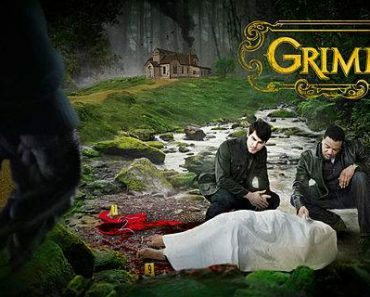 Make no mistake, I think Grimm excels at doing darker episodes with cases different from the procedural norm, but if they can bring something comparatively lighter and execute it well, I’m all for it, and “Three Coins in a Fuchsbau” is one of those episodes. 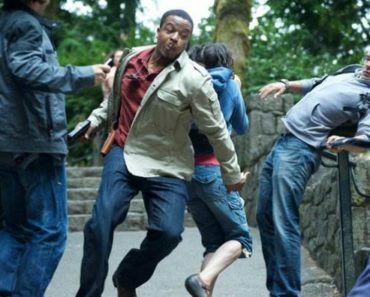 It continued Grimm’s trend of backing away from the typical “women and/or children in peril” cases, used the real world crime as only a jumping off point for all the craziness caused by the coins, and really embraced the supernatural elements of the show well. Plus, I know I keep hammering it home, but that doesn’t make it any less valid of an observation; the choice to include a history of the coins and how they’ve impacted real life was a very smart decision, as it continued to hint that the scope of the Wesen world is greater than we know yet. 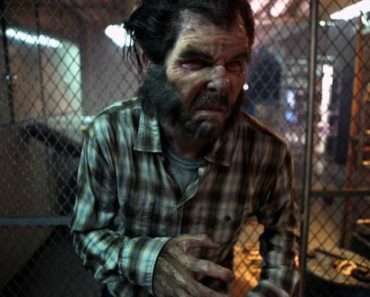 Grimm could be a very strong show if they focused on Portland and the Wesen around it, but expanding the reach of the creatures and implying that it’s a worldwide, centuries-old “infestation” makes the show a little more unnerving. It’s one thing to deal with threats inside fairly small, insular city, but could other creatures come to Portland in hopes of taking Nick down? “Three Coins in a Fuchsbau” was a tiny step back from the past few episodes in overall scope, but I think that it can be an important episode going forward. Nick hasn’t really had to deal with his past much, once Marie, his last living relative, passed and it’ll be interesting to see how he responds emotionally to Kolt’s information. The fact that he included Juliette in the loop may indicate that Nick won’t be ignoring the fact that his entire worldview got shook once he found out the role the Wesen world played in the death of his parents. 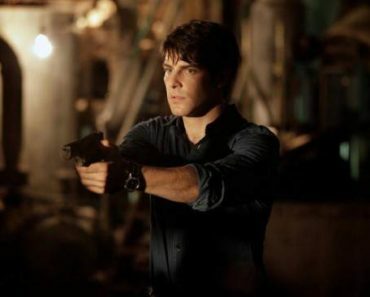 He’s seemed like a nice, normal guy from the beginning of the series and I root for him and Monroe to continue learning from one another and growing, but I felt like I barely knew Nick Burkhardt before “Three Coins in a Fuchsbau”. 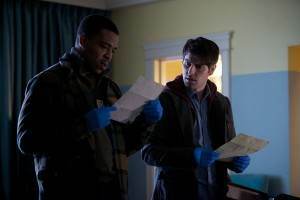 The episode may not have provided a shocking reveal, but the fact that Grimm seems ready to embrace its true beginnings and bring on the mythology is a very, very promising thing for the show. Grimm may not be much on character backgrounds, but when it does fill in between the lines, I find that I’m liking it (and its characters) more and more. -Another fault of the episode: Wouldn’t people notice a man in Brenner’s uniform that wasn’t, y’know, Brenner? Marquesa wasn’t laying that low and I’m sure that Brenner had enough of a community presence to be recognizable to the general populous, let alone his co-workers. -Cool shots, bro: There was a nifty heat sensory-ish shot when Flynn and Hans were looking for one another, as well as a birds eye view of Brenner dead in the motel bathtub. -What did you think of the Hitler reveal at the end? I liked it, only because it tied back to Farley’s history of the coins and made for a lasting image to go out on. 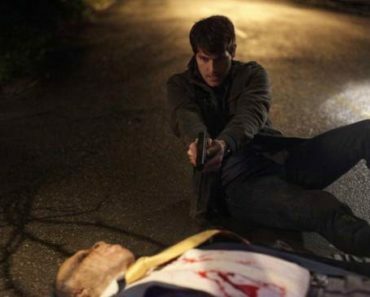 -Which Dexter cast member will be making an appearance on Grimm later this season? -Next week on Grimm: Nick is dealing with an arson case, fire dancers, and the ramifications of the Wesen world’s growing animosity.